La Jolla businesses are seeing positive side affects to the trolley expansion project. LA JOLLA (KGTV) - Hungry businesses near construction for the trolley expansion project were concerned they would be negatively impacted by traffic. The first weekend two main arteries in La Jolla closed created a surprising opportunity for businesses. La Jolla Village Drive West of Genesee Avenue shut down Friday night at 9 p.m.. Genesee Ave. Southbound shut down between Executive drive and Esplanade Court also shut down. Both will remained closed through the weekend. The closure means lots of detours, routing many down Regents Road, and past the shopping center that is home to Micheline's Pita House . "A lot of people around here love it and more people, new people are coming in so that's really good for business," Cashier Victoria Cruz said. Another bit of good news, the project is ahead of schedule. "On Thursday they'll be able to take out that false work and reopen the street," Project Manager John Haggerty said they're working as fast, efficiently and safely as possible to ease congestion. "This is kind of ripping the band aid off... it's painful but for the shortest time possible," he said. 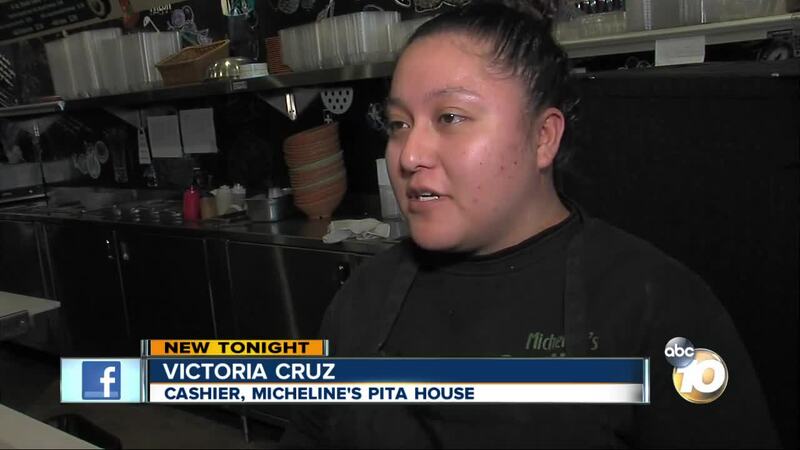 That time giving businesses like Pita House some much needed attention.